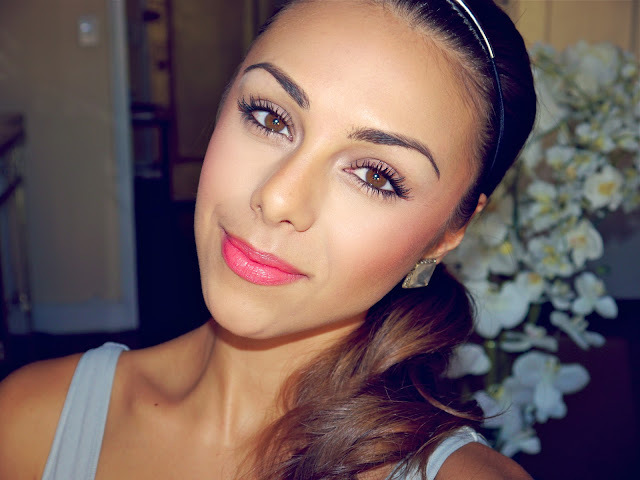 Annie Jaffrey: My Foundation Routine! Good morning beautiful! Ok it's finally up :) Woop! Wanted to make this video to show you what I usually do BEFORE I film my makeup tutorials which involve mostly eyeshadows. I don't do this routine on a regular basis, just when I'm filming, special occasions or for night's out because even though it looks great it's also important to let your skin breath now and then :) If you want to see my everyday makeup routine (consisting only of the MAC Studio Fix powder as a foundation) then watch this video here. As I've mentioned before, you can apply all the makeup in the world but you need to start with a good canvas which means eating right, drinking lots of water and taking care of your skin. This is the most important! 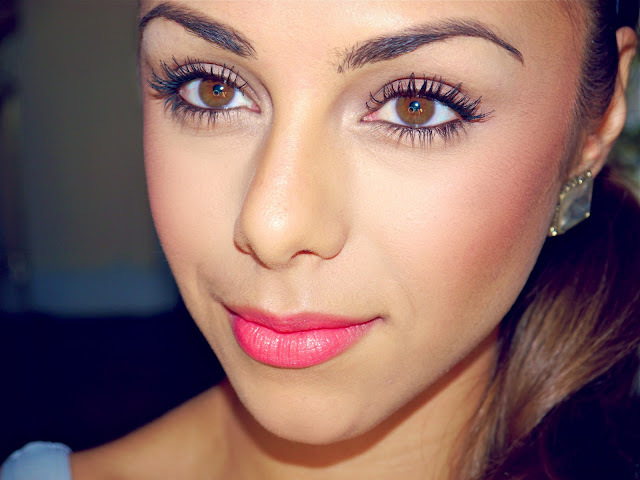 Makeup then just comes in to enhance your beauty. - Bobbi Brown Corrector "Bisque"
- MAC Highlighter "Soft and Gentle"
They all work great. If I want a heavier coverage I use the Sigma 'paintbrush' one. It makes your skin look amazing! The ELF one is also great and it's only $3! The MAC one gives a very airy-light type of finish. It's good to experiment with different ones! Now over to you, what's your favorite foundation? 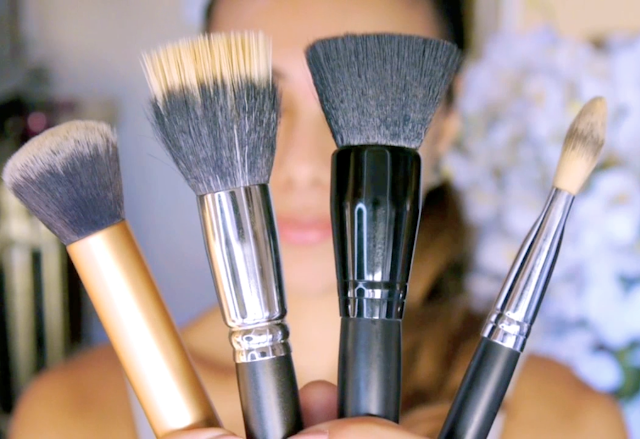 And your favorite foundation brush? Always good to know what you guys like too! Want to add in this comment from a viewer & my response! It's good because I want to emphasize the importance of eating healthy and how it affects your skin - I am a walking example. Everyone can have beautiful skin, you just have to take care of it properly. Lovely girl with lovely skin! I agree that you have to eat well to have a good canvas. Gorgeous Annie! I'd love to try MAC's "Soft and Gentle," I've heard such good things about it! Annie you are an example for me! My skin is full of acne problems :( and I am on a diet since 5 months ago thank you so so much four your support, videos, comments! You are gorgeous inside and outside! kisses from Barcelona!!! The MUFE HD foundation is one of my favorites!! love your skin <3. I recently started watching your videos, you are great!!! I use nars she's glow and my best brush is well the beauty blender . I use Mac powder nc40 and use the beauty blender to apply it. Works amazing. My friend told me abt it. Love it. Also thank you Annie for your sweey happy blogs. Wow. Your eyes are amazing. You have talking eyes and make up has sharpened it. And you have a glowing skin too. Thanks for sharing. I truly admire your dedication to staying healthy and beautiful and sharing it with your admirers/fans. I especially enjoyed watching your "3 Fall Outfit Ideas". . . that was brilliant and spectacular to watch you put the outfits together beautifully. The details provided were spectacular! I cannot wait to watch another outfit/haul videos similar to this one. Thank you! Annie, I cannot emphasize how great you are! I really love ALL of your videos. Sorry, I know you get this a lot, but what camera do you use to film? It's super crisp! can lead to breakouts but how about wheat? What does it do? I love you channel – you’re so inspirational! You should do a get “unready with me” video on how you take off your makeup and cleanse your face after a long day. I just started reading your blog and I agree with you: to have a perfectly clear skin you have to tend it like a garden. I don't wear makeup everyday (only when I go out which is like once or twice a week), I drink lots of water, eat veggies and fruits, limit my dairy intake and pamper my face with hydrating cremes. And it works! I haven't been able to watch your channel yet (I am currently in Africa and the Internet isn't very good for videos). Good thing that you have a blog! Also loving your makeup! I need to try it sometime and see how it works out for me. I am just not a big fan of foundation. I don't know if it's because I am used to not wearing makeup, or maybe it's the foundation that is too 'heavy'? Any tips on that? I have been asking a lot of people for a help on a good contour powder and I have not been getting much help. I see you used the L'oreal true match in a darker shade. I can purchase that brand since it is available in my country. But one question can you please tell me if it is 2 or 3 shades darker than you natural skin tone? hi annie,I have been watching your videos lately, they are really helpful!